Purpose: The diamond industry used to be a stable sector. However, the market for diamonds is changing rapidly due various developments, putting margins in the entire diamond industry under severe pressure. Consequently diamond retailers have begun to search for new methods that could help them improve their performance. This article evaluates whether the High Performance Organisation (HPO) Framework can be used to help diamond retailers achieve better results. Design/methodology/approach: The High Performance Organisation Framework was applied at two actors in the diamond industry value chain, a dealer and an intermediate, in order to identify the HPO factors that most influence the results of these companies. Special attention was paid to the matching of the characteristics of the High Performance Organisation Framework and the characteristics influencing the success of partnerships. Findings: The research results show that the High Performance Organisation Framework can be used to identify the improvements needed to increase the level of performance of all players in the diamond industry value chain. Originality/value: The results of this study fill a gap in current academic and management literature on the diamond industry as little research has been done into the factors that cause sustainable high performance in this sector. The results can also be used by managers of diamond retailers to increase company results and to cooperate more closely in the diamond industry value chain. Pour des renseignements supplémentaires sur notre cadre HPO, nos conférences, nos experts HPO, nos ateliers et nos cours de maître n’hésitez pas à nous contacter (en Inglés): vink@hpocenter.com ou T. +31 (0) 35-60370 07. The nature of the diamond industry is changing (Villinger, 2011). It is true that, although the industry is currently suffering under the effects of the credit crisis, it is expected to recover during the second half of this decade (Bain & Company, 2011). Many changes were anyhow already set in motion before the global recession began (Fram and Baron, 2004) and these changes will impact the functioning of organizations in the industry positively. This is dearly needed as the performance of all parties in the diamond industry value chain is under great pressure. There are several reasons for this. While demand for diamonds will increase again after the recession, the supply of rough diamonds will to all expectations be limited. There is a dwindling trust between parties in the diamond industry while these parties should be cooperating more to increase efficiency and thus restore profitability percentages. Finally, the growing influence of governments in diamond-mining countries means these governments will in future take a larger share of the profits of diamond companies. One party which is particularly affected are the diamond retailers, as consumers have more and more options to spend their money on all types of luxury goods. As a result, managers of diamond retailers are strongly interested in the factors that influence high performance in the diamond industry value chain (Reynolds, Howard, Cuthbertson and Hrist, 2007; Godey, Lagier and Pederzoli, 2009). After all, Normann and Rameirez (1993) point out that, in the integrative value chain approach, the complete value chain should be seen as constituting a ‘value-added partnership’. Unfortunately, to the knowledge of the authors, no scientific research has yet examined the success factors for the diamond industry value chain. This fits in with the wider trend, as noted by Alexander and Doherty (2010) in their review of the international retail research literature, of little attention in the literature for retailer characteristics and the influence of these on corporate performance. As Alexander and Doherty (2010) state the main focus of attention in international retail research since the late 1980s has been operational characteristics, and thus there is a need for research into the factors that influence corporate performance of retailers positively. This is supported by Hornibrook, Fearne and Lazzarin (2009) and Finne and Sivonen (2007, who state that an important topic of retail research should be the link between organizational characteristics and organizational performance. They emphasize that in the case of value chain relationships such as the diamond industry value chain research should be aimed at collaborative advantage. To address the gap in the literature, this article examines whether the High Performance Organisation (HPO) Framework (2006, 2007, 2012) can be applied at retailers in the diamond industry value chain in order to identify the factors that most influence the results of these retailers. If the High Performance Organisation Framework is applicable, then the contribution to the literature will be that the High Performance Organisation thinking can be extended not only to another industry but also to the supply chain and value chain fields. The practical implication will be that the framework can be used by managers of diamond retailers to increase company results and to cooperate more closely in the diamond industry value chain to improve the overall performance of the diamond retail industry. This article is organized as follows. In section 2 a short overview is given of the diamond industry, with particular attention for the diamond industry value chain. Theory on successful partnerships in the value chain and the HPO Framework is summarized in sections 3 respectively 4. The relations between the High Performance Organisation characteristics and the characteristics influencing the success of partnerships in a value chain are discussed in section 5. The two companies, participating in the research, are described in section 6. Section 7 gives the research approach and the results of the research. The article ends in section 8 with recommendations, limitations and further research. The diamond industry consists of many parties, which are involved in exploration and mining, trading of rough diamonds, diamond cutting and polishing, polished diamond trading, jewelry design, manufacturing, wholesaling, and finally retailing (Diamond Consultants Canada, 2008). Figure 1 presents a simplified overview of the links in the diamond industry value chain. It is called simplified because many minor value-adding organizations could be placed between the main actors in the value chain, which is not relevant for this article and just confuses the picture. A more elaborate diagram can be found in Mostovicz, Kakabadse and Kakabadse (2007) and Bain & Company (2011). Mining companies mine and sell rough diamonds to dealers or directly to intermediate companies. Dealers sell the diamonds to other dealers and intermediate companies, and the latter cut and polish the diamonds (either by themselves or via outsourcing) for sale to jewelers. The research described in this article does not look at sales of diamonds to industrial companies. In the complete diamond industry value chain about $60 billion is added in value, of which $12 billion in mining and $48 billion in dealing and retailing (Bain & Company, 2011). Profit margins for retailers are mostly in the range of almost 50 percent (JCK, 2005). The financial crisis at the end of the last decade caused a slump in sales and consequently spending on diamond exploration also fell considerably. 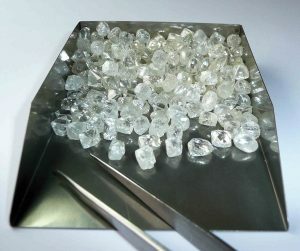 However, the potential for rough diamonds is considered good in the long run as there is a developing shortage of rough diamonds (because there are hardly new diamond mines opened), an increasing consumer demand in emerging markets such as India and China and an eventually recovering demand in developed countries (Diamond Consultants Canada, 2008; Bain & Company, 2011). The demand for diamonds is driven by economic growth, consumer confidence and fashion. There is a huge seasonal impact because of the American market, where about half of the world’s diamonds are sold: the majority of diamonds sales take place between Thanksgiving and Valentine’s Day (Fram and Baron, 2004; Graff, 2009a; Bain & Company, 2011). Traditionally, the diamond industry was characterized by one global supplier of the rough diamonds; a highly fragmented market based on small family-owned companies in which the largest retailer holds less than two percent market share; an entrepreneurial spirit among employees with little formal education in management and marketing; and an endogenous management style (Mostovicz et al., 2007; Levin and Sheveleva, 2010; Chong, Lu and Chan, 2012). In the past decade, the diamond industry has experienced rapid changes because of several simultaneous developments (Bates, 2005, 2008; Mostovicz et al., 2007; Hund, 2008; Graff, 2009b; Smillie, 2009). Until 2000, diamond company De Beers was in control of the distribution of diamonds by building its own inventory of rough diamonds in bad times and releasing these in better times. Nowadays, De Beers is responsible for about 45 percent of all gem-quality diamonds supplied to the market and is transforming its role in the industry from being the custodian of the industry to acting merely as a major player (Mostovicz et al., 2007; Bain & Company, 2011). In addition to De Beers, ALROSA, BHP Billiton and Rio Tinto are nowadays also large players in the industry. De Beers does not keep as much stock as it used to, which means that the intermediate companies now have to carry more stock themselves. This development has resulted in higher debts for the intermediates. To be able to carry this stock and debt, intermediates need to rely on diamond banks such as ABN Amro and Antwerp Diamond Bank. However, because of the current credit crisis the ability and willingness of diamond banks to fund the inventories and receivables has become a critical aspect of industry growth in the sector (Bain & Company, 2011). Another development is that consumers are becoming increasingly knowledgeable and consequently critical about the diamond industry. Because of the internet there is information available about not only the physical characteristics of the diamonds but also their origin, i.e. whether they are so called conflict or blood diamonds and whether they have been mined and produced under ethical conditions and in an environment-conscious manner (Yakovleva and Alabaster, 2000; Even-Zohar, 2002; Lahiri, 2010). The Diamond Development Initiative, instigated by a group of industry players and NGOs, is playing an increasingly important part in this respect. In addition to these developments, the diamond industry used to be a ‘handshake industry’ but this is no longer the case. Parties are less knowledgeable and trusting about the new parties that have entered the market in recent years. Many are non-traditional players, like hedge funds, which are likely to pull out when the market is getting more difficult. As a consequence, there is an increased use of tenders for selling the stones. Instead of the traditional sight system, in which the supplier invited a pre-selected group of customers to view and buy the stones at preset prices, diamonds are now sold at auctions. Finally, there is the development that government and companies in diamond-mining countries increasingly are taking over activities in the value chain, for example beneficiation, to obtain more value from their diamonds. At the same time, labor cost are rising in these countries, thereby erasing part of the extra profits. 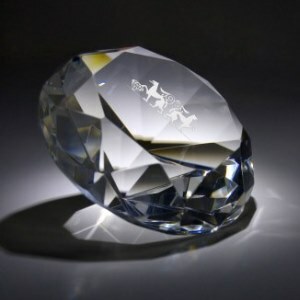 As mentioned in the Introduction, these developments have had a negative effect on profitability in the diamond industry as a result of which managers of diamond retailers started looking for new methods to manage their organizations in a better and more profitable way, in partnerships which can be placed along the entire value chain. In the next section the characteristics influencing the success of partnerships in a value chain are discussed. Many organizations nowadays enter into and maintain long-term partnerships with their suppliers and customers (Powell, Koput and Smith-Doerr, 1996). This is because successful partnerships can increase the turnover of each partner with two to nineteen percent. In addition each partner becomes more worth, as much as sixteen to twenty-four percent of the average value of an organization can be traced back to investors valuing a company with successful partnerships more highly (Chung, Sengh and Lee, 2000; Hagedoorn, 1995; Kalmbach and Rousseau, 1999). Further benefits can be expected in cost reductions, higher quality levels and new product designs (Childerhouse, Lewis, Naim and Towill, 2003; Goffin et al., 2006; Monczka, Petersen, Handfield and Ragatz, 1993; Primo and Admundson, 2002). As a logical consequence, extensive research has been carried out into the factors that make or at least influence a successful partnership, mostly driven by the supply chain literature. Childerhouse and Towill (2002) grouped the literature on supply chain performance into three dominant clusters (customer interface, including factors as delivery lead times/frequency/distance, configuration of the customer base, and forecast accuracy; supplier interface, including factors as supplier lead time/frequency/distance, configuration of supplier base, and type of relationship with suppliers; product characteristics, including factors as manufacturing lead time, manufacturing complexity, product complexity, and product variety) and then evaluated, with a set of European supply chains serving the automotive and other market sectors, which characteristics in these clusters had a statistical significant effect on performance. They found six characteristics: type of relationship entered into with suppliers; the number of preferred vendors specified by a dominant customer; manufacturing lead time (average time from when raw materials are pulled from stores and finished goods are returned to goods out); remoteness of the business from the end marketplace (number of echelons between organization and end consumer); number of bought-out components (number of different bought-out components, i.e. components bought from suppliers, required for a single finished good); and BOM (bill of material) levels within the business. In a follow-on study, Childerhouse et al. (2003) showed the operational and financial benefits of achieving integration across the supplier and customer interfaces. Vázquez-Bustelo, Avella and Fernández (2007) found that in turbulent environments the application of agile manufacturing practices increases organizational performance. A key ingredient of these agile manufacturing practices was the achievement of value chain integration, which consisted of, amongst others, having close relations with suppliers (frequent, direct contacts, mutual plant visits, collaboration agreements); integration of plant operations with supplier operations (collaboration on logistics, mutual technical assistance); mutual sharing of data and technical and commercial information with suppliers; joint work with suppliers on the product design, development, planning, and market forecasting processes; joint work with suppliers to improve component quality; close customer relations; integration of plant operations with customer operations; inclusion of customers in new product design and development; and compilation and internal dissemination of information on customer needs. For a value chain to work efficiently, the links of the chain have to collaborate effectively (Mentzer, DeWitt, Keebler, Min, Nix, Smith and Zacharia, 2001). In this collaboration, control and trust play an essential part (Dekker, 2004). Control is essential to prevent one of the links in the collaboration displaying undesired behavior. Control, as part of corporate governance, is no longer confined to the legal boundaries of organizations because monitoring and control has increased in the entire supply chain (Otley, 1994). This is a good development, as studies have found that the structure for governing inter-organizational relationships is critical to collaboration and effective governance can even lead to inter-organizational competitive advantage (Dekker, 2004). According to Dekker (2004), the primary purpose of control between organizations is to motivate them to achieve desired or predicted outcomes. Smith, Carroll and Ashford (1995) distinguish two types of control: formal and informal. Formal control consists of contractual obligations and formal organizational mechanisms. It can be subdivided into behavior and outcome control mechanisms (Ouchi, 1979). This corresponds with the two types of control which Merchant (1998) distinguishes: action control, to identify beneficial and harmful actions; and result control, to identify performance outcomes. Setting up a contract can contribute to both types of control. Formal contracts are “agreements in writing between two or more parties, which are perceived, or intended, as legally binding” (Lyons and Mehta, 1997, in Klein Woolthuis, Hillebrand and Nooteboom, 2005). A contract can include action controls as well as result controls, entailing instructions about the actions that need to be taken or avoided by both parties and the results that the parties expect from each other. The second type of control is informal control, which relates to informal cultures and systems influencing the parties in the collaboration (Dekker, 2004). A notion that is often linked to informal control is trust (Berry, Coad, Harris, Otly and Stringer, 2008). Trust refers to an expectation based on experience that a partner will not behave in an opportunistic manner (Tomkins, 2001). In the literature, there are four different points of view on the relationship between trust and control (Berry et al., 2008): trust is an alternative for control; effective control systems can help build trust; control structures and practices may be the objectives of trust; and trust is necessary for the adoption of some control practices. According to Berry et al. (2008), there are two different types of trust. Capability trust includes expectations about the competencies of the other to perform a task satis¬factorily. Goodwill trust is the expectation that the partner will perform in the interests of the relationship, even when this is not in the interest of the partner itself. The latter type of trust may be hard to achieve, as the assumption in the psychological perspective on performance management and control states that people try to optimize their personal outcomes (Groot and Jansen, 2008). Klein Woolthuis et al. (2005) found that inter-organizational relationships that were characterized by trust were more successful than those without trust. They did not find any relations between contracts and the success of collaboration between two parties. According to Graham and Ahmed (2000), in their research of the aerospace value chain, buyers increasingly acknowledge that their success is contingent upon the ability of key suppliers to rapidly implement necessary changes to their own business practices and marketing strategies when circumstances demand this, and that developing new purchasing relationships based on long-term contracts and open and trust-based relationships is the way forward. Prajogo, McDermott and Goh (2008) found, in their research into the impact of value chain activities on quality and innovation among Australian firms, that four factors had a direct and positive effect: customer focus (consisting of: searching customer needs and expectations, disseminating customer needs in the firm, maintaining close relationship with customers, effective process for resolving complaints, and regularly measure customer satisfaction); R&D management (consisting of: communicating with other departments, pursuing leading-edge research, undertaking high risk projects with high return, being a major part in the business strategy); process management (consisting of: applying the concept of internal customer, designing preventive oriented processes, standardizing documented instructions, using statistical techniques); and supplier management (consisting of: establishing long-term relationships with suppliers, using a supplier rating system to select suppliers, relying on a small number of dependable suppliers, and involving suppliers in product design). Finally, Walters and Lancaster (2000, p. 177) gave a comprehensive definition of value chain management being “a coordinating management process in which all of the activities (and their suppliers) involved in delivering customer value satisfaction are integrated such that customer satisfaction is maximized and the objectives of the stakeholders involved (the suppliers of activities, processes, facilitating services, etc.) are optimized such that no preferable solution may be found.” They stated that successful value chain management required effective information management ( consisting of market identification, time, accuracy, relevance and control aspects) and relationship management (consisting of coordination activities together with co-production, promotion of interdependence, cost management and cost transparency). Table 1summarizes the results of the literature review, giving the most important characteristics influencing the success of partnerships in a value chain. In the remainder of this article it will be evaluated whether these characteristics can be improved and strengthened by the High Performance Organisation Framework. But first, this High Performance Organisation Framework is described in the next section. Competition worldwide is becoming more and more fierce, and stakeholders are increasingly demanding organizations to compete simultaneously on price, quality, flexibility, delivery times and after-sales support (Kasarda and Rondinelli, 1998). To deal with these pressures, organizations have been exploring different types of performance models and theories. Despite the large number of publications on different aspects of high performance no scientist has yet proposed a general theory, model or framework on High Performance Organisations. This changed with the introduction of the HPO Framework (Waal, 2006, 2012), which was developed on the basis of a descriptive literature review of 290 academic and practitioner publications on high performance. This review enabled defining an High Performance Organisation: “A High Performance Organisation is an organization that achieves financial and non-financial results that are better than those of its peer group over a period of time of at least five to ten years.” Out of each of the 290 reviewed publications, those elements were extracted that the authors regarded as essential for becoming a High Performance Organisation. Because authors used different terminologies, the identified elements were grouped into categories which constituted possible HPO characteristics. For each of the possible HPO characteristics the ‘weighted importance’ was calculated, i.e. the number of times that it occurred in the publications. Finally, the possible HPO characteristics with the highest weighted importance were included in an HPO questionnaire which was administered worldwide and which encompassed more than 3200 respondents, also from the diamond retail industry. In this questionnaire the respondents had to grade how well they thought their organizations were performing with respect to the HPO characteristics (on a scale of 1 to 10) and also what their organizational results were compared to their peer group. The competitive performance was calculated using two formulas: (1) Relative Performance (RP) – the performance of the organization compared to the performance of its peer group: RP = 1 – ([RPT – RPW] / [RPT]), with RPT being the total number of peers and RPW being the number of peers with worse performances; (2) Historic Performance (HP) – the performance of the organization over the past three to five years compared to the performance of its peers during that time period (possible answers: worse, the same, or better). These subjective measures of organizational performance are scientifically proven indicators of real performance (Dawes, 1999; Devinney, Richard, Yip and Johnson, 2005; Glaister and Buckley, 1998). By performing a non-parametric Mann-Whitney test, 35 characteristics which had the strongest correlation with organizational performance were extracted and identified as the HPO characteristics. The correlation was as expected: the high-performing organizations scored higher on the 35 HPO characteristics than the low-performing organizations did. This means that organizations which pay more attention to these 35 characteristics achieve better results than their peers, in every industry, sector and country in the world. Conversely, organizations which score low on the characteristics rank performance-wise at the bottom of their industry. After the Mann-Whitney test, a principal component analysis with oblimin rotation of the 35 characteristics was performed, which resulted in five distinct HPO factors. These five High Performance Organisation factors are briefly described underneath. Management Quality. In a High Performance Organisation, belief and trust in others and fair treatment are encouraged. Managers are trustworthy, live with integrity, show commitment, enthusiasm, and respect, and have a decisive, action-focused decision-making style. Management hold people accountable for their results by maintaining clear accountability for performance. Values and strategy are communicated throughout the organization, so that everyone knows and embraces these. Openness and Action-Orientation. High Performance Organisations have an open culture, which means that management values the opinions of employees and involves them in important organizational processes. Making mistakes is allowed and is regarded as an opportunity to learn. Employees spend a lot of time on dialogue, knowledge exchange, and learning, to develop new ideas aimed at increasing their performance and make the organization performance-driven. Managers are personally involved in experimenting thereby fostering an environment of change in the organization. Long-Term Orientation. A High Performance Organisation grows through partnerships with suppliers and customers, so that long-term commitment is extended to all stakeholders. Vacancies are filled by high-potential internal candidates, and people are encouraged to become leaders. The High Performance Organisation creates a safe and secure workplace (both physical and mental), and lays off people only as a last resort. Continuous Improvement and Renewal. A High Performance Organisation compensates for dying strategies by renewing them and making them unique. The organization continuously improves, simplifies and aligns its processes and innovates its products and services, creating new sources of competitive advantage to respond to market changes. Furthermore, the HPO manages its core competences efficiently, and out-source non-core competences. Workforce Quality. A High Performance Organisation assembles and recruits a diverse and complementary management team and workforce with maximum work flexibility. The workforce is trained to be resilient and flexible. They are encouraged to develop their skills to accomplish extraordinary results and held responsible for their performance, as a result of which creativity is increased, leading to better results. The HPO Framework shows that there is a direct and positive relation¬ship between the identified HPO factors and competitive performance: the higher the HPO scores the better the performance of the organization, and vice versa. An organization can find out its HPO status by having management and employees fill in an HPO questionnaire and calculating the average scores on the HPO factors. The connections between the HPO Framework and the characteristics influencing the success of a partnership are investigated in the next section. 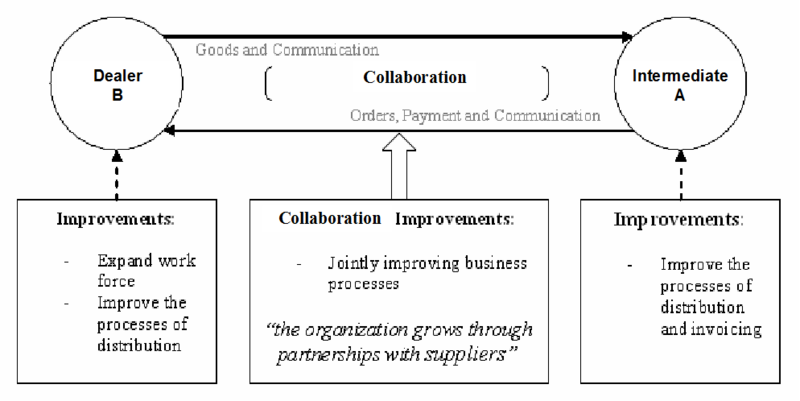 In order to examine whether the HPO Framework can be applied to help retailers in the diamond industry value chain obtain better performance through creating a high performance value chain, in Table 1 the characteristics influencing the success of partnerships in a value chain are matched with the HPO characteristics. Customer interface Effective information management to and from the customer, including effective control of partnership activities 5. In the organization everything that matters to performance is explicitly reported. Effective relationship management with the customer, including achieving a high trust relationship 31. The organization maintains good and long-term relationships with all stakeholders.16. Management has integrity. Inclusion of customers in new product design and development 8. The organization continuously innovates its products, processes and services. Being close to the customer 32. The organization is aimed at servicing the customers as best as possible. Effective process for resolving complaints 32. The organization is aimed at servicing the customers as best as possible. Regularly measuring customer satisfaction 32. The organization is aimed at servicing the customers as best as possible. Identifying customer needs and expectations and disseminating these throughout the organization 32. The organization is aimed at servicing the customers as best as possible. Supplier interface Effective information management to and from the supplier, including effective control of partnership activities and mutual sharing of data and technical and commercial information 5. In the organization everything that matters to performance is explicitly reported. Effective relationship management with the supplier, including achieving a high trust relationship 31. The organization maintains good and long-term relationships with all stakeholders.16. Management has integrity. Integration of own operations with supplier’s operations 30. The organization grows through partnerships with suppliers and/or customers.4. In the organization processes are continuously aligned. joint working with supplier on the product design, development, planning, and market forecasting processes 8. The organization continuously innovates its products, processes and services. Joint working with supplier to improve component quality 8. The organization continuously innovates its products, processes and services. Rapidly implement necessary changes to business practices and marketing strategies 28. Organizational members are trained to be resilient and flexible. Looking at Table 1 it becomes obvious that the HPO factors in particular seem to be important for creating a high performance value chain: Long-term Orientation (LTO) and Continuous Improvement and Renewal (CI). As regards LTO, three characteristics seem to dominate in this respect: ‘The organization maintains good and long-term relationships with all stakeholders’, ‘The organization grows through partnerships with suppliers and/or customers’ and ‘The organization is aimed at servicing the customers as best as possible.’ As stakeholders include suppliers and clients, it is essential to know whether links in the value chain pay enough attention to each other, especially if the other party is the client. This attention can take the shape of long-term partnerships, so it is of interest to know whether there is enough trust between the parties to agree upon such partnerships and whether formal control mechanisms are included in the partnership. Trust is fostered when a partner sees management of the other partner as having integrity (which incidentally belongs to the HPO factor Management Quality). As regards CI, there are also four characteristics which require special attention: ‘In the organization everything that matters to performance is explicitly reported’, ‘In the organization processes are continuously aligned’ and ‘The organization continuously innovates its products, processes and services.’ If the processes in the organization are not of a high quality, it becomes very difficult to set up an efficient value chain as the adage “garbage in, garbage out” applies here. The processes of all other links in the chain will be negatively affected by the bad processes of one link. In addition, when a link changes its product assortment, all other links in the value chain will be affected, so control is of the utmost importance. These links have to be accompanied by high quality information which consists of the critical success factors and key performance indicators that measure the quality of the partners and their cooperation. In addition, The characteristic ‘Organizational members are trained to be resilient and flexible’ (belonging to HPO factor Workforce Quality) will help if changes have to be made to, for instance, the processes in the value chain. Thus, seven of the 35 HPO characteristics potentially can directly support organizations in building a high performance value chain. Only the value chain cluster ‘Product characteristics’ is not supported by the HPO Framework. Reason for this is that the framework mainly concentrates at the managerial, communication, process improvement, and relationship processes and not at products (or services) themselves. In the next section the two diamond companies participating in the HPO research are introduced. In order to test the application of the HPO Framework, two actors in the diamond industry value chain were chosen. These companies basically constituted a convenience sample. The researchers were in the fortune circumstances that the owner of one of the case companies was a relative of one of them. This relative was able to introduce the researchers to the other case company, while several other intermediaries declined to participate. So, while being aware that choosing these two organizations brings limitations to the research as biases can be the result, just having access to parties in the notorious secretive diamond industry was a feat in itself (Adiga, 2004; Smillie, 2010). The first company, Intermediate A, was founded in the Netherlands in the 17th century as a family-owned business specializing in polishing diamonds. Its expertise has been passed on for generations and since the beginning of the 20th century Intermediate A is considered one of the most renowned diamond polishers in the world. At this moment, the sixth generation of the family is in charge of the company. Intermediate A can be characterized as long-term oriented and result-oriented, because profitable continuity of the business is regarded as very important by its management. Decision-making is based on consensus among the three management team members, who have an equal say in important decisions. Intermediate A targets the upper segment of the market and sells polished diamonds and design jewelry to jewelry stores throughout the world. New clients are selected using unwritten criteria, which means that the choice is usually based on intuition and a feeling of trust. The company purchases diamonds in two different ways. It either purchases them directly from mining companies which produce rough diamonds and, on request, polished diamonds; or it purchases diamonds through dealers on the open market in Antwerp, the centre of the diamond industry where rough diamonds and polished diamonds are being traded by suppliers. Company number two, Dealer B, a small diamond dealer based in Antwerp, acts as a go-between for Intermediate A and suppliers (mining companies and other dealers). Dealer B is informed about what kind of stones Intermediate A is interested in and offers suppliers the opportunity to present their diamonds to Intermediate A at the dealer’s office. After that, Intermediate A decides to buy or not to buy. Dealer B receives a commission for its function as intermediate party. There is a high degree of trust between intermediate and dealer due to their long-standing relationship. During a preliminary interview with the owner, Intermediate A indicated that – because of the declining margins in the diamond industry – it wanted to know how it could improve its performance in order to enhance its competitive position. In addition, the company wanted to take a closer look at the diamond industry value chain to find out whether more value could be added by applying the HPO Framework to other actors in the value chain. For this reason, Intermediate A asked Dealer B to participate in the research. This study can be characterized as exploratory research as the HPO Framework had not yet been applied in the diamond industry. The research approach was as follows. One of the authors was a family member of the owner of Intermediate A, which made getting cooperation easy. Intermediate A then asked Dealer B to participate in the research as both companies had been doing business for a long time and trusted each other. Although both companies were only small players in the diamond industry, their willingness to cooperate made that we did not search further for other companies to conduct the research at. An HPO questionnaire was sent to Intermediate A and Dealer B. In this questionnaire respondents indicated how well their organizations performed, on a scale of 1 to 10, on the various HPO characteristics. The scores were calculated and averaged per company, to give the High Performance Organisation status of the company as depicted in Table 2. For Intermediate A, the three members of the management team filled in the questionnaire. For Dealer B, only the CEO responded as this company was very small. The scores gave the input for the questions to be asked during the interviews held with management team members of Company A, i.e. during these interviews the interviewees were asked to elaborate on the scores and to give examples of what they did in practice regarding the HPO characteristics. The research took place over a period of two months in 2008. Intermediate A scored higher than Dealer B but the difference was not that great, which means the organizations were a good match for each other. The factors that scored highest for both companies were Long-term Orientation and Management Quality. According to Waal (2007), an organization meets the requirements for being an HPO if it scores higher than a 8.5 on all HPO factors. It has to be noted however that employees did not participate in the survey, which might have created a positive bias especially for Management Quality. The factor with the most room for improvement, again for both organizations, is Continuous Improvement and Renewal. Intermediate A and Dealer B both scored high on Long-Term Orientation (both 9.3). Two of the characteristics belonging to this factor are The organization maintains good and long-term relationships with all stakeholders and The organization grows through partnerships with suppliers and/or customers. Intermediate A uses Dealer B as intermediate party for purchasing diamonds, and this is not without reason. Dealer B has been working in the diamond industry for over 30 years and is very familiar with the open market in Antwerp. Consequently Dealer B is able to do business with a lot of diamond suppliers and bring Intermediate A in contact with the best suppliers in the market. In addition, Dealer B is a flexible organization. This means that when Intermediate A wants to purchase new diamonds on short notice, Dealer B will take care of this immediately. The last reason why Intermediate A prefers to work with Dealer B is that the organization is not as expensive as other dealers. This is because Intermediate A only pays Dealer B commission after the actual purchase of diamonds. Even though Dealer B is “the eyes and ears for Intermediate A on the open market in Antwerp”, Intermediate A does not pay for these searching activities. As mentioned earlier, a certain level of control is necessary for good collaboration. Intermediate A and Dealer B have a verbal agreement about their collaboration, which has been documented afterwards. This agreement does not stipulate how much Intermediate A has to purchase through Dealer B. The agreement mainly concerns the commission of Dealer B. This limited amount of formal control is a result of the trust that exists between the two parties. In this case, trust is an alternative for control (Berry et al. 2008), a point of view that is supported by Meer-Kooistra and Vosselman (2006). In addition, these authors state that trust can be seen as a solution to control problems. Thus, the trust between Intermediate A and Dealer B probably affects the level of performance in their collaboration positively. The other way round might also be valid: if performance in the collaboration increases, this leads to a higher level of trust. The trust between the two parties mainly consists of goodwill trust: both Intermediate A and Dealer B expect their partner to operate in a way that has positive effects on their collaboration. The management team of Intermediate A trusts Dealer B for bringing it in contact with the best suppliers. Dealer B trusts Intermediate A does not exclude him from Intermediate A’s business and honors the collaboration when diamonds are needed. Besides this goodwill trust, Intermediate A also has competence trust in Dealer B, because Intermediate A is aware of the dealing qualities of Dealer B. Within goodwill trust, communication plays an important part. The parties need to communicate their expectations and desires about their partnership. 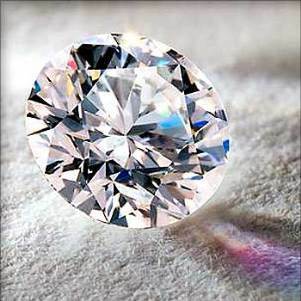 Intermediate A and Dealer B communicate about diamonds on a daily basis. However, they do not communicate that often about their collaboration. To improve the goodwill trust and thus the relationship, Intermediate A and Dealer B could communicate about the collaboration more frequently. This is especially important in case conflicts arise and conflict management becomes important (Bobot, 2010). A better communication is also important for improving Continuous Improvement and Renewal as this is needed if both organizations decide to jointly improve business processes. Another characteristic of Long-Term Orientation is Management has been with the company for a long time. For both organizations this is the case. Intermediate A is a family business that has been operating for over 150 years. The members of the current management team have been involved in the company their entire lives. At the same time, the CEO of Dealer B has been working in the diamond industry all his life. This longevity of both sides explains the high level of trust within the collaboration, as both parties have become very familiar with each other. Both organizations scored the lowest on the HPO factor Continuous Improvement and Renewal. Intermediate A could improve the processing and registration of assets and invoices. In the current situation, when Intermediate A buys diamonds, these are transferred from Antwerp to Amsterdam for inspection and polishing, then they are sent back to Antwerp for certification, and finally the diamonds are returned to Intermediate A in Amsterdam for further distribution to its clients. This is an inefficient process and Intermediate A is aware of this but has not yet acted on it. As soon as these processes are optimized, the processes of Dealer B will also be positively influenced as this organization has to be less involved as a go-between in the various transfers. With the introduction of a new jewelry line, Intermediate A shows commitment to product renewal. Again, this is important for Dealer B as this company has to change its offerings to Intermediate A. Unfortunately; Intermediate A does not have the marketing budget of the big players in the market and is not able to support Dealer B too much in this respect. When interviewees were asked what could be improved in the value chain, Intermediate A replied that Dealer B could become more HPO by improving the organization’s staffing. When Dealer B would hire new employees for supporting activities, especially with the new jewelry line, the CEO of Dealer B could focus more on purchasing diamonds and attracting more suppliers for Intermediate A. It was clear that for both companies their management should be more involved in the continuous improvement efforts, previous research (Sandberg and Abrahamsson, 2009) found that management is crucial for the set-up of a successful value chain. The analysis of the relationship between Intermediate A and Dealer B leads to several potential improvements, specifically targeting the HPO characteristic The organization grows through partnerships with suppliers and/or customers. An overview of the improvements of both organizations is presented in Figure 2. As discussed, the distribution and invoicing processes of Intermediate A contains room for improvement. Especially when business is growing, the inefficiency of these processes will cost time and money. Intermediate A should discuss with Dealer B how to improve these processes jointly. In addition, Dealer B should expand its work force to ensure continuity of business and growth of the joint business. Dealer B will specifically be better prepared for an increasing demand for diamonds by Intermediate A, and to acquire new clients. It should be noted that if Dealer B does not keep up with Intermediate A and the difference in HPO scores between the two parties increases, this could potentially damage the collaboration between the two parties. This could eventually lead to termination of the collaboration, when Intermediate A starts looking for a supplier that matches its increasing HPO score. Actively simplifying, improving, and aligning processes and a complementary work force will help both organizations in increasing their HPO status. But when business processes are improved jointly, the value chain will be improved. Some limitations of this study must be acknowledged. In the first place, only management of Intermediate A and Dealer B filled in the HPO questionnaire. This might have influenced the scores as employees may have different opinions on the performance of the organization. Another limitation is that we only conducted one interview, at Intermediate A, so we did not get the opinion of Dealer B, which might have led to different perspectives on the collaboration. A third limitation is that we only looked at two HPO factors, Long-term Organization and Continuous Improvement and Renewal, while the other HPO factors also might have an influence on the performance of the parties in the value chain. A final limitation is that generalization is not possible based on research at only two companies, the results of this research merely provide a first view on the applicability of the HPO Framework in this industry. Due to these limitations, the research has to be considered to be exploratory. At the same time, the research results indicate that applying the HPO Framework in the diamond industry value chain yields valuable information for the parties in this chain to start improving their performance, individually and jointly. Future research should concentrate on all parties and distribution channels in the value chain, with more respondents to fill in the HPO questionnaire and more interviews with people concerned. This research should include all five HPO factors, producing more perspectives on collaboration in the diamond industry value chain, and probably to more improvement possibilities (Reynolds et al., 2007). A final opportunity for further research may be to examine which divergence in HPO scores of two collaborating parties will cause the collaboration to end. Adiga, A. (2004), The jains are sparkling in India, Time International (Canada Edition), Vol. 163, Issue 14, pp. 54-55. Alexander, N. and Doherty, A.M. (2010), “International retail research: focus, methodology and conceptual development”, International Journal of Retail & Distribution Management, Vol. 38, No. ½, pp. 928-942. Bain & Company (2011), The global diamond industry, lifting the veil of mystery, Bain & Company, Inc. and Antwerp World Diamond Centre private foundation (AWDC). Bates, R. (2005), “Serious times for the diamond industry”, JCK, Vol. 176, Issue. 1, pp. 84-89. Bates, R. (2008), “5 Issues to watch in the diamond industry”, JCK Diamond Reference Guide: Vol. 179, pp. 14-16. Berry, A.J., Coad, A.F., Harris, E.P., Otly, D.T. and Stringer, C. (2008), “Emerging themes in management control: a review of recent literature”, The British Accounting Review, Vol.1. No. 19, pp. 2-20. Bobot, L. (2010), “Functional and dysfunctional conflicts in retailer-supplier relationships”, International Journal of Retail & Distribution Management, Vol. 39, No. 1, pp. 25-50. Childerhouse, P. and Towill, D. R. (2002), Analysis of the factors affecting real-world value stream performance, International Journal of Production Research, Vol. 40, Issue 15, pp. 3499-3518. Childerhouse, P., Lewis, J., Naim, M. and Towill, D.R. (2003), Re-engineering a construction supply chain: a material flow control approach, Supply Chain Management, Vol. 8, Issue 4, pp. 395-406. Chong, T.T.L., Lu, C. and Chan, W.H. (2012), “Long-range dependence in the international diamond market”, Economics Letters, Vol. 116, Issue 3, pp. 401-403. Chung, S., Sengh, H. and Lee, K. (2000), Complementarity status similarity and social capital as drivers of alliances formation, Strategic Management Journal, Vol. 21, No. 1, pp. 1-22. Dawes, J. (1999), “The relationship between subjective and objective company performance measures in market orientation research: further empirical evidence”, Marketing Bulletin, Vol. 10, pp. 65-76. Dekker, H.C. (2004), “Control of inter-organizational relation¬ships: evidence on appropriate concerns and coordination requirements”, Accounting, Organizations and Society, Vol. 29, pp. 27-49. Devinney, T.M., Richard, P.J. ,Yip, G.S. and Johnson, G. (2005), Measuring organizational performance in management research: a synthesis of measurement challenges and approaches, Research paper, available at: www.aimresearch.org (accessed October 3, 2009). Diamond Consultants Canada (2008), The diamond industry, an opportunity and impact assessment (accessed October 3, 2009). Even-Zohar, C. (2002), From mine to mistress: corporate strategies and government policies in the international diamond industries, Mining Journal Books Ltd., London. Fram, H. and Baron, R. (2004), “Are natural diamond engagement rings forever?”, International Journal of Retail & Distribution Management, Vol. 32, No. 7, pp. 340–345. Glaister, K.W. and Buckley, P.J. (1998), “Measures of performance in UK international alliances”, Organization Studies, Vol. 19, No. 1, pp. 89-118. Godey, B., Lagier, J. and Pederzoli, D. (2009), “A measurement scale of “aesthetic style” applied to luxury goods stores”, International Journal of Retail & Distribution Management, Vol. 37, No. 6, pp. 527-537. Goffin, K., Lemke, F. and Swzwejczewski, M. (2004), An exploratory study of ‘close’ supplier-manufacturer relationships, Journal of Operations Management, Vol. 24, pp. 189-209. Graff, M. (2009a), “Diamond trading centers fall silent as demand stalls”, National Jeweller, Vol. 103, No. 1, pp. 12-14. Graff, M. (2009b), “ Sales up slightly for De Beers in ’08”. National Jeweler Network, February 20. Graham, G. and Ahmed, P. (2000), Buyer-supplier management in the aerospace value chain, Integrated Manufacturing Systems, Vol. 11, No. 7, pp. 462-468. Groot, T.L.M.C. and Jansen, P.G.W. (2008), Performance Management and Control, Reader, Vrije Universiteit Amsterdam, Faculty of Economics and Business Administration. Gupta, S., Polonsky, M., Woodside, A., and Webster, C.M. (2010), “The impact of external forces on cartel network dynamics: direct research in the diamond industry”, Industrial Marketing Management, Vol. 39, pp. 202–210. Hagedoorn, J. (1995), Strategic technological partnering during the 1980s: trends, networks and corporate patterns in non-core technologies, Research Policy, Vol. 24, pp. 207-231. Hornibrook, S., Fearne, A. and Lazzarin, M. (2009), “Exploring the association between fairness and organizational outcomes in supply chain relationships”, International Journal of Retail & Distribution Management, Vol. 37, No. 9, pp. 790-803. Hund, K. (2008), Making diamonds work for development (accessed October 3, 2009). JCK (2005), “Snapshot of the diamond industry 2005”, JCK Diamond Reference Guide, Vol. 176, pp. 10-11. Kalmbach, C.J. and Rousseau, L. (1999), Dispelling the myth of alliances, Outlook, October, pp. 5-32. Kasarda, J.D. and Rondinelli, D.A. (1998), “Innovative infrastructure for agile manufacturers”, Sloan Management Review, Vol. 39, No. 2, pp. 73-82. Klein Woolthuis, R., Hillebrand, B. and Nooteboom, B. (2005), “Trust, contract and relationship development”, Organization Studies, Vol. 26, pp. 813-840. Lahiri, S. (2010), “Blood diamonds: international policy options for conflict resolution”, Indian Growth and Development Review, Vol. 3, No. 1, pp. 5-20. Levin, M. and Sheveleva, I. (2010), “Institutional aspects of the organization and operation of the international diamond market”, Problems of Economic Transition, Vol. 52, Issue 10, pp. 21-43. Lyons, B. and Mehta, J. (1997), “Contracts, opportunism and trust: self-interest and social orientation”, Cambridge Journal of Economics, Vol. 21, pp. 239-257. Meer-Kooistra, J. van der and Vosselman, E.G.J. (2006), “Research on management control of interfirm transactional relationships: whence and whither”, Management Accounting Research, Vol. 17, pp. 227 – 237. Mentzer, J.T., DeWitt, W., Keebler, J.S., Min, S., Nix, N.W., Smith, C.D. and Zacharia, Z.G. (2001), “Defining supply chain management”, Journal of Business Logistics, Vol. 22, No. 2, pp. 1-25. Merchant, K.A. (1998), Modern management control systems: text & cases, Prentice Hall, Upper Saddle River, NJ. Monczka, R.M., Petersen, K.J., Handfield, R.B. and Ragatz, G.L. (1998), Success factors in strategic supplier alliances: the buying company perspective, Decision Sciences, Vol. 29, No. 3, pp. 553-577. Mostovicz, E.I., Kakabadse, N.K. and Kakabadse, A.P. (2007), “The diamond industry as a virtual organization: past success and challenging future”, Strategic Change, Vol. 16, pp. 371–384. Normann, R. and Ramirez, R. (1993), From value chain to value constellation: designing interactive strategy, Harvard Business Review, Vol. 71, Issue 4, pp. 65-77. Otley, D. (1994), “Management control in contemporary organizations: towards a wider framework”, Management Accounting Research, Vol. 5, pp. 289-299. Ouchi, W.G. (1979), “A conceptual framework for the design of organizational control mechanisms”, Management Science, Vol. 25, No. 9, pp. 833-848. Powell, W.W., Koput, K.W. and Smith-Doerr, L. (1996), Interorganizational collaboration and the locus of innovation: networks of learning in biotechnology, Administrative Science Quarterly, Vol. 41, No. 1, pp. 116-145. 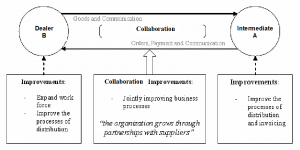 Prajogo, D. I., McDermott, P. and Goh, M. (2008), Impact of value chain activities on quality and innovation, International Journal of Operations & Production Management, Vol. 28, Issue 7, pp. 615-635. Primo, M.A.M. and Amundson, S.D. (2002), An exploratory study of the effects of supplier relationships on new product development outcomes, Journal of Operations Management, Vol. 20, Issue 1, pp. 33-52. Reynolds, J., Howard, E., Cuthbertson, C. and Hrist, L. (2007), “Perspectives on retail format innovation: relating theory and practice”, International Journal of Retail & Distribution Management, Vol. 35, No. 8, pp. 647-660. Sandberg, E. and Abrahamsson, M. (2010), “The role of top management in supply chain management practices”, International Journal of Retail & Distribution Management, Vol. 38, No. 1, pp. 57-69. Smith, K.G., Carroll, S.J. and Ashford, S.J. (1995), “Intra- and interorganizational cooperation: toward a research agenda”, The Academy of Management Journal, Vol. 38, No. 1, pp. 7-23. Tomkins, C. (2001), “Interdependencies, trust and information in relationships: alliances and networks”, Accounting, Organizations and Society, Vol. 26, No. 2, pp. 161-191. Villinger, N.D. (2011), “Are diamonds forever? A brief look at the diamond industry today”, Journal of Global Business Issues, Vol. 5, Issue 2, pp. 44-47. Waal, A.A. de (2007), “The Characteristics of a High Performance Organization”, Business Strategy Series, Vol. 8, No. 3, pp. 179-185. Waal, A.A. de (2012), What makes a high performance organisation, five validated factors of competitive performance that apply worldwide, Global Professional Publishing, Enfield. Yakovleva, N.P. and Alabaster, T. (2000), “Natural resource use in the Russian North: a case study of diamond mining in the Republic of Sakha”, Environmental Management and Health, Vol. 11, No. 4, pp. 318-336.